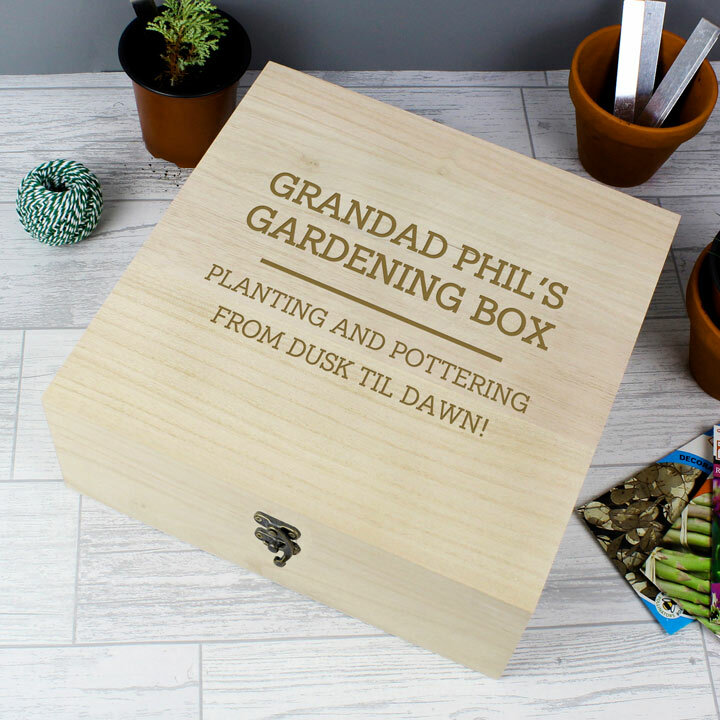 Crafted from natural wood, and featuring a metal clasp and hinges, this personalised wooden keepsake box is a perfect practical gift! The box can be personalised with 2 lines of text with up to 15 characters per line including spaces (above the line) and 2 lines of text with up to 25 characters per line (below the line). Perfect for storing an assortment of small keepsakes including photographs, travel souvenirs, crafting supplies or gardening bits and bobs 28 x 28 x 10.8cm.